Details: The emphasis of this course is first on preparing the students on their programming skills, Understanding the entire Android Apps Development Cycle from start to finish. You will be taught by the best in the android development domain, you can transform your fascination into actual creation, develop applications as a hobby or professionally. The course is structured in such a way that the students will learn all the fundamentals about android, also developing android apps during the course schedule will allow them to explore android world further allowing them to create apps themselves. Duration: 80 hours It’s going to be a full 100 % practical course, where the students themselves will have to do most of the things on the computers. At the most only 2 students will be allowed per computer. Basically this course will be giving you a good knowledge of Android & how to develop Apps and how to upload them on google play. Certification: Upon completion of the course students will receive a certificate from our company. 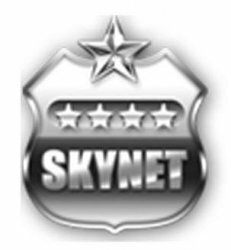 SKYNET SECURE. “SKYNET SECURE CERTIFIED ANDROID APP DEVELOPER” , We also provide GOVT CERTIFICATION(MSTB) for the same course, those students who wish to avail of the Govt. Certificate will need to pay some Govt fees & clear an exam taken by the Govt dept., then only they will be entitled to receive the Govt certificate So at the end the students can get dual certification for the same course.